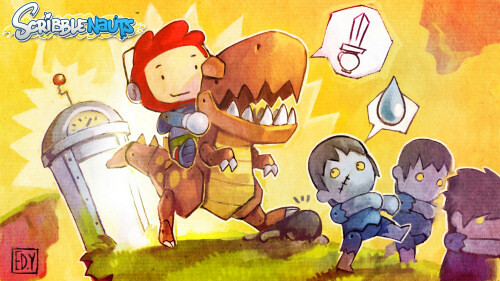 We talked a bit about Scribblenauts a few months back, a unique Nintendo DS title from developer 5th Cell. Check out our original post in regards to the concepts of the game. The game will be on store shelves tomorrow, September 15th, and by all accounts looks like it should be a solid seller (#5 at the time of this writing). While the game doesn't have any co-op to speak of, we do think the game offers a form of social co-op play that will be incredibly interesting to watch. We've gone ahead and started an official thread to share all of your solutions with each other. It'll be really interesting to see just how many different ways people solve the puzzles at hand. The official TV spot has just launched as well, and we've got the trailer embedded below. So who plans on picking this one up? Page created in 0.6954 seconds.